Please join us for our first film event on October 22nd at 7 pm. 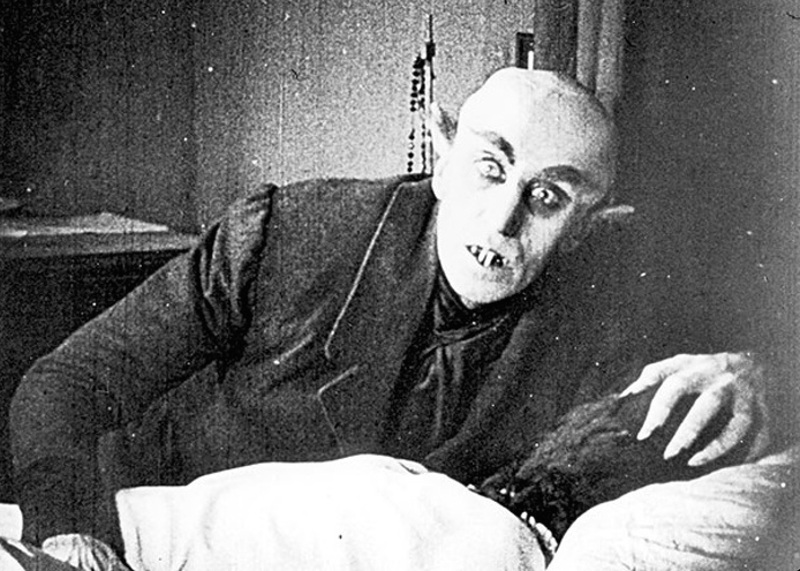 This special showing of the classic silent film, Nosferatu in the Halloween season is sure to memorable, as it is not only considered a film masterpiece, but it will have live musical accompaniment by the “boy wonder” of the theater organ, Brett Miller. Brett is an organ prodigy who has studied with the top organists in the country. Bucks County’s County Theater hires him to play at all four of their theaters, and he is a staff organist at Loews Jersey City, one of the classic movie palaces from the 1920s. Analyzing the film, Brett has composed a score that is firmly rooted in the classic silent film tradition. Nosferatu, according to film critic Roger Ebert, “is the story of Dracula before it was buried alive in clichés, jokes, TV skits, cartoons and more than thirty other films. The film is in awe of its material. It seems to really believe in vampires… It doesn’t scare us, but it haunts us.” Directed by the legendary F.W. Murnau, it draws on the great visual tradition of the early silent, when images were more important than words. If you have never seen a silent film, or never seen one with live music, this is a must. If you have, you won’t want to miss this special presentation. Tickets are $10 as the event will be a benefit for the Juvenile Diabetes Research Foundation. Seating is limited and tickets are already going fast. to reserve yours, contact the Studio by email at RSVP@solowey.com or by phone at 215-795-0228.